Having good numbers of visitors to your blog, but still struggling to make good revenue from it? Then give a try to affiliate marketing which can convert your traffic into cash! If doesn’t matter are you good at affiliate marketing, but this post will guide you choose the best affiliate program and to earn with it easily. Already earning with direct advertising programs? Is that enough? Don’t you wanna to extend your limits like professional bloggers does? As everyone knows, these days pro bloggers are stepping into Affiliate Marketing and making tons of money. Affiliate Marketing is one of the best methods to make money online and if you are about to start affiliate marketing then you should go through this post. The most important thing you need to consider on Affiliate Marketing is choosing the best affiliate network or program. The program which you’re choosing should share profitable commission for each sale done through your affiliate link. So finding the best affiliate program is a tough task rather driving traffic to the landing page. Haha! Don’t worry about it! Today I’m sharing one of the best affiliate networks which I’ve tried before and this program will suits perfectly for all bloggers. Yeah, you heard it right! I’m taking about “Tesla Themes Affiliate Program”. TeslaThemes design elegant and impressive WordPress themes and WP Plugins with tons of features. They mostly concern about SEO and Responsive on all their premium themes. At present, they have 55+ Premium Themes and 17K+ customer from all around the world. And now they have announced about their affiliate Program. I’m damn sure about this, that you can earn money with TeslaThemes Affiliate Program by working smart on it. So you may have many questions! There are hundreds of best affiliate program available but Why should you choose TeslaThemes Affiliate Program? What make it different? There are many reasons to choose TeslaThemes Affiliate Program as my alternative revenue source for my blog. Below I’ve listed some of TeslaThemes Affiliate Program features or advantages or reasons, whatever it may be. 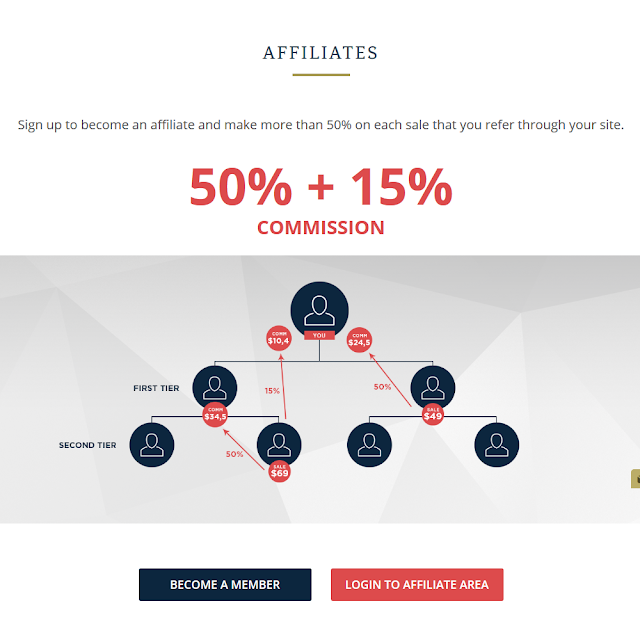 Why should you choose TeslaThemes Affiliate Program? Profit brought to them is evenly shared for the marketer i.e 50% commission for every sale you drive through your affiliate ID. This will really appreciate your efforts for sure. Apart from it, they also share 2nd Tier commission which is 15% on the every sales made by your referred affiliates. If any visitors clicks your affiliate links for the first time, and they buy a theme after 70 days? So what other affiliate programs will do? What will they offers you? I hope, nothing! But Tesla Theme Affiliate program will return the cookie which will give 50% of commission for that sale. Make sure your visitor purchase within 90 days. TeslaThemes got high conversion rates which let the bloggers make good revenue from it. They are more affordable. The only reason because TeslaThemes cost your less when to compare to other WP theme providers. Mostly all other affiliate programs will have some limits or minimum payout. So here there is no minimum payout where the users are able to withdraw even $1 after earning it. Cool isn’t? This might be pretty for all users! If you already have an affiliate account on Teslathemes and you want to purchase a plugin then you don’t need to create a new account for that. Just you can make use of your old account for both purposes. User-friendly interfaces help the user to access the entire dashboard easily. Every affiliate marketers need some banners or some tools to embed the links for promotion purposes. If you are worrying about it, then don’t worry about it! 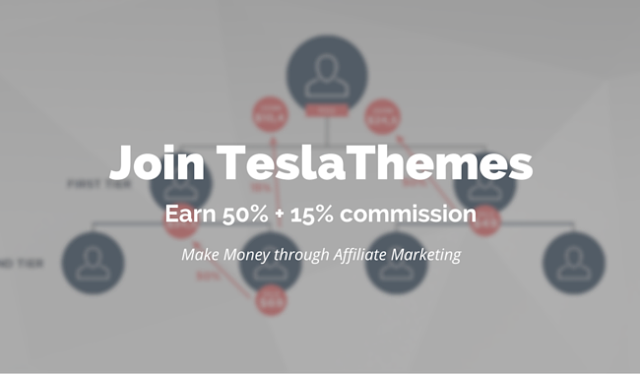 Here TeslaThemes will offer a complete affiliate kit for marketers to make the best promotions which include banners with their embedded codes. They are providing a complete support to boost your legit sales. If you have any queries or problems then, they might help you fixing it! TeslaThemes allows their affiliates to withdraw their earned commission either through PayPal or Payoneer. But for Payoneer payment arrangement affiliates have to contact TeslaThemes support team with Payoneer id. At first, you need to visit TeslaThemes Affiliate Page. Then just click on ‘Become a Member’ option, below that page you'll find 'Signup here' link, click it and enter all the required details. 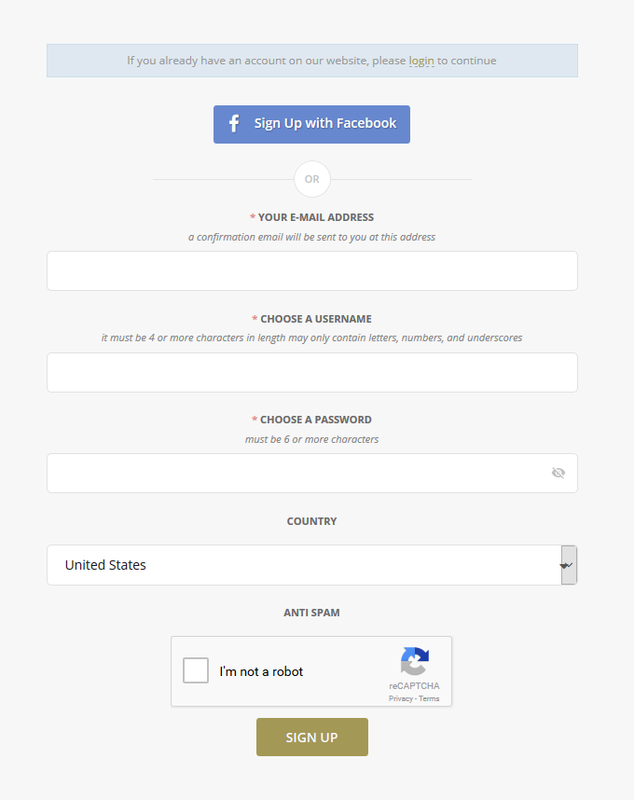 Even you can sign up there with your Facebook account. Make sure you have entered the correct details before clicking the ‘Sign Up’ button. Once you have signed in, confirm your mail id. Then Go to your Dashboard and click on “Affiliate Info” tab. Here you can create your own affiliate links, affiliate banners and embed them easily with few clicks. That’s it! You have done it! After creating banners just start promoting it and make others buy through your link. Put some efforts, work smart then you’ll make $1000/month for sure! The Affiliate Marketers are not allowed to use TeslaThemes brand name as the domain name or PPC keywords. It will surely violate Tesla Themes Policies. Users are not allowed to purchase any theme or plugins by using their own Affiliate links. They can’t use PPC Advertising to affiliate links. BONUS TIPS: How to make $1000+/Month with TeslaThemes Affiliate Program? So how to promote TeslaThemes Affiliate? Here I have shared some tips which I do for promoting! I will usually write a lengthy post about TeslaThemes with my Affiliate link shared in that post. Make sure you share all necessary information about Tesla Themes with genuine reports. Focus on Email Marketing and Newsletters which will surely boost your affiliate sales rapidly. Place TeslaThemes banner ads on your sidebar and inside the TeslaThemes Review posts too! Do share your Review Post with your friends and on social media websites and make sure they have good reach. Try these things mentioned above and I can give you assurance; you can easily earn $1000+/month or even more. All you need is just to follow and know How TeslaThemes works, Teslathemes guidelines about the affiliate program for WP Niche which I’ve fully shared in this post. Isn’t excited? tHANKS FOR this report bro.. Will check it out.